Digital Disciple Network (DDN) stands as a global network of faith-based ministers working in collaboration for professional development, knowledge generation, advocacy, and leadership. 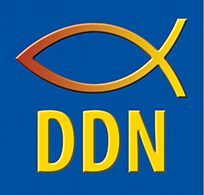 DDN provides leadership and service to improve faith based formation, learning, and ministry leadership by advancing the effective use of technology in PK-12, catechetical minister formation, and adult formation ministries. As international collaborators, members support one another with information, networking opportunities, and guidance as they face the challenge of transforming catechetical ministry to 21st Century learning experiences. We provide training in technology for those involved in catechesis or pastoral ministry in parish, campus and diocesan settings. Excellence: We pursue excellence through opportunities for achievement in teaching, research, creative activity and service. We embrace the Ministry Technology Competencies and encourage our participants to do the same in their own settings.